Sophia Bush as Voyd. ©2018 Disney•Pixar. All Rights Reserved. 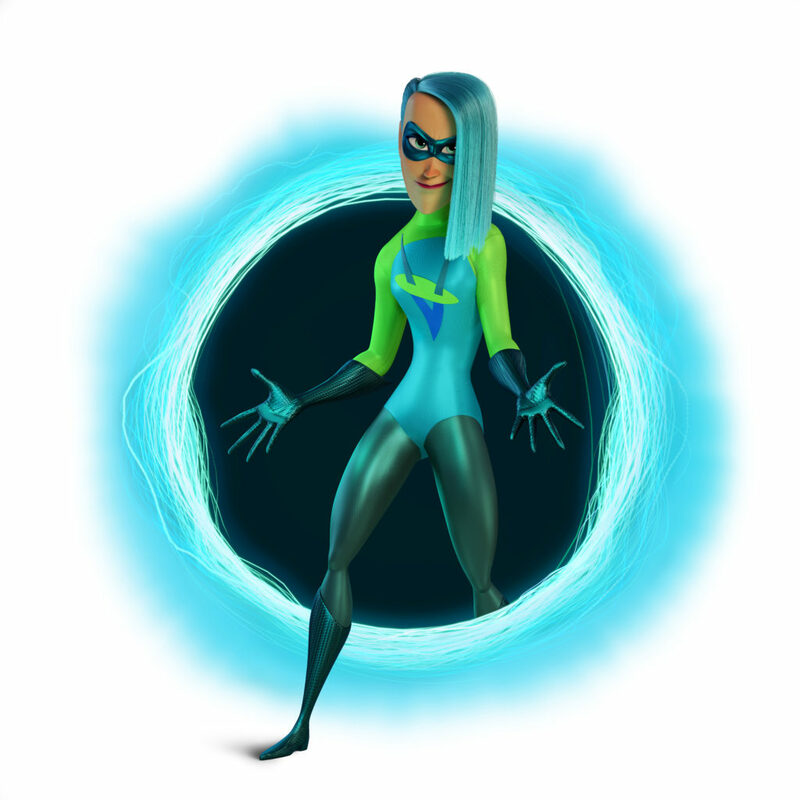 Voyd is the new character in Incredibles 2 is that is super fan of Elastigirl who is eager and nervous about being a superhero. Sophia Bush is an actress and activist known for her role on the television drama series One Tree Hill. She greeting us with a geunine smile and shared with us her 30-Day-No-Throwaway challenge in which is only use reusable things as much as possible. She encouraged everyone to join her and be more conscious of what we are throwing away. What a super way to start the interview! 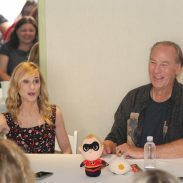 On the excitement of being casted for the Incredibles 2 by Brad Bird. Sophia: I opened my email and there was this letter from my agent, and I sort of started having an outer-body experience and like couldn’t figure out what I was reading, because I got very emotional. I was like what?! And I screamed so loud the whole restaurant turned and looked at me. I was morbidly embarrassed and also very excited. I said “I don’t understand how this happened” and he said,” well, you know, years ago you came up here to learn about animation”, and I did. I spent a day like asking all of the animators crazy questions about code, like a total nerd. It was the best day of my life. And he said, “You know, what we started to do was look for something for you knowing how excited you are about this whole universe.” They take samplings of your voice from other jobs. So, they basically cut generic enough sentences of your dialogue and then cut it together with the other actors in Pixar films and figure out who’s voice they like the sound of your voice with and they liked me and Holly’s voices together. I was like she’s a queen! I am dead! Like, all of my dreams have come true. 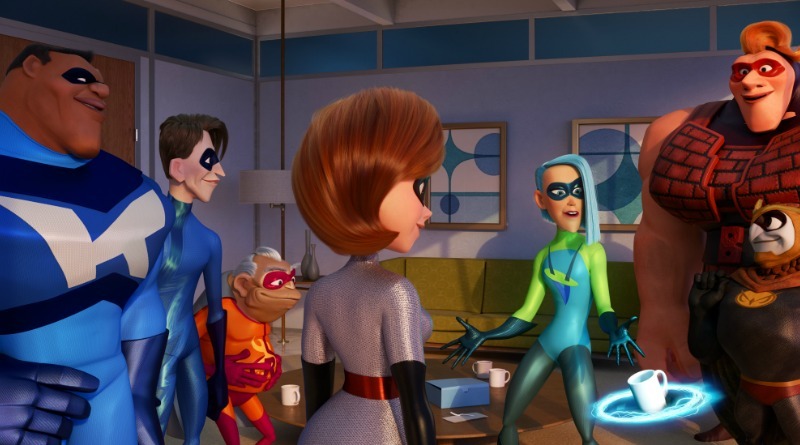 Sophia expresses the “girl power” that was expressed heavily in Incredibles 2. Sophia: I told Brad he’s clearly psychic because this movie was three years in the making. So, this was pre the Time’s Up conversation being had. This was pre a lot of these studies about gender parody and even current stages of pay disparit and our lack of paid family leave in this country. Even when we look at some of the statistics that have come out about how many dads are actually now the stay-at-home parent, how many women earn equal to their male partners, how many women are actually the primary bread winner in their households. This movie manages to talk about identity and empowerment with not an ounce of tension, with so much humor. So, this film was ahead of its time, in a way, when it was written and when it began. And I think it’s so smart, because a lot of these conversations when we talk about the data around gender, people are like, oh, my God, you know, especially people who don’t agree with us, who don’t wanna hear about race, who don’t wanna hear about sexual orientation. It makes them tense. And this movie manages to talk about identity and empowerment with not an ounce of tension, with so much humor. It welcomes everybody to the table. I’ve not heard a single guy be like, oh, that’s like a woman’s movie. They love the movie. And I’m like, yeah, because women’s issues are just life. It’s not — ‘they’re just issues.’ They’re everybody’s issues. And these are family issues. They really are for everyone. 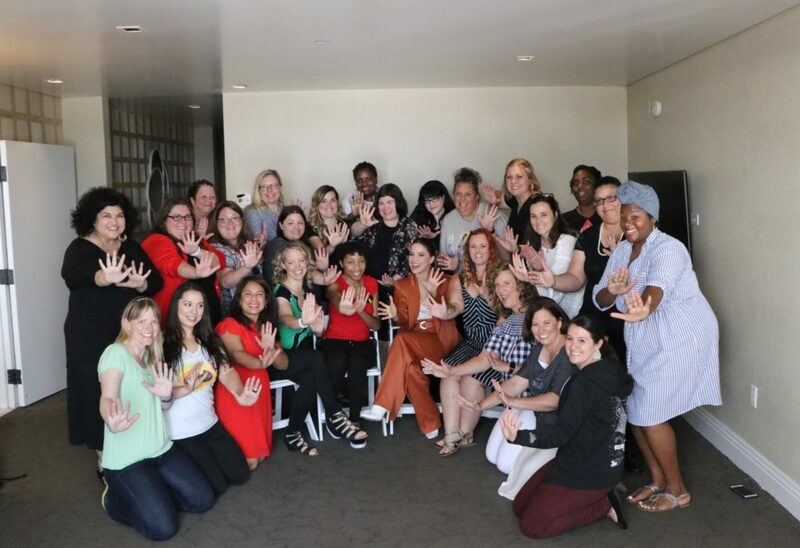 So, I think it’s really refreshing in a time where people are a bit tense about where all of this goes from here to remind them that it can go to a place like this, that instead of ‘othering’ people we should welcome everyone to the table, because if everyone puts their own personal brand of magic on the world, the world gets better. 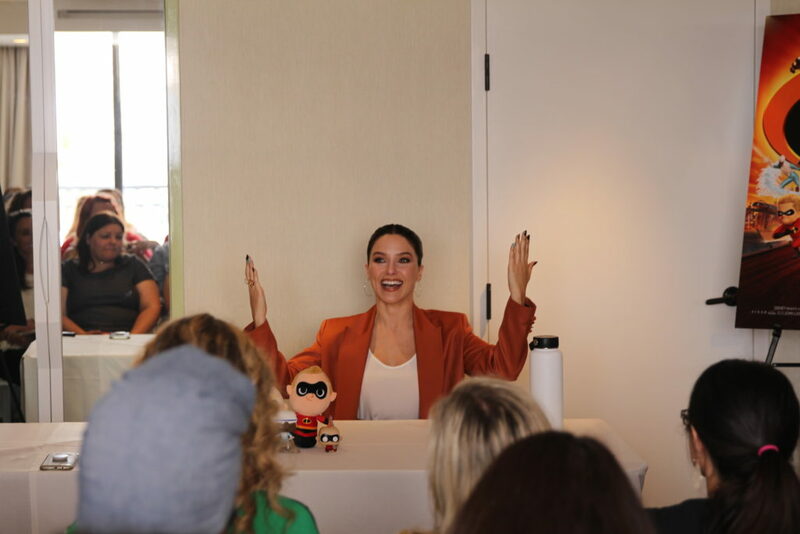 On how Sophia prepared herself to become Voyd and be the ultimate fan girl and super girl. Sophia: For me, I had to think a lot about who this girl is. You know, Violet is a teenager. Voyd is a young woman. She represents, to me, so many of the girls who I spend so much of my life talking to, girls that are in high school, college, post-college, trying to figure out who they are. If she can have superpowers in real life which ones would she have? Sophia: I would love to have Voyd’s powers. No like. They’re really badass! I think about convenience, and whatever the power is that would allow me to teleport, I’d like that. ‘Cause like I have to get on a red eye tonight. Do you know how happy I’d be to just like grab my bags and twitch my nose like Samantha from Bewitched and just be in another city? Like, no more TSA, no more bad airport food, no…it would be the biggest game changer of my life. I would love that. 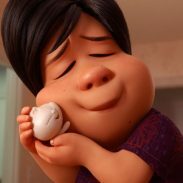 One the one this she wish more people knew about the creative process of an animated film. After the interview she encourage used to do the Voyd pose! I love interactive photos and this made this really fun! Sophia was a joy to interview, love her energy and the extra girl power energy Voyd brings to the movie. She is definitely the “void” the Incredible 2 movie needed! Telecommunications guru Winston Deavor enlists Elastigirl to fight crime and make the public fall in love with superheroes once again. That leaves Mr. Incredible with one of his greatest challenges ever — staying home and taking care of three rambunctious children. As Violet, Dash and Jack-Jack offer him a new set of headaches, a cybercriminal named Screenslaver launches his dastardly plan — hypnotizing the world through computer screens. 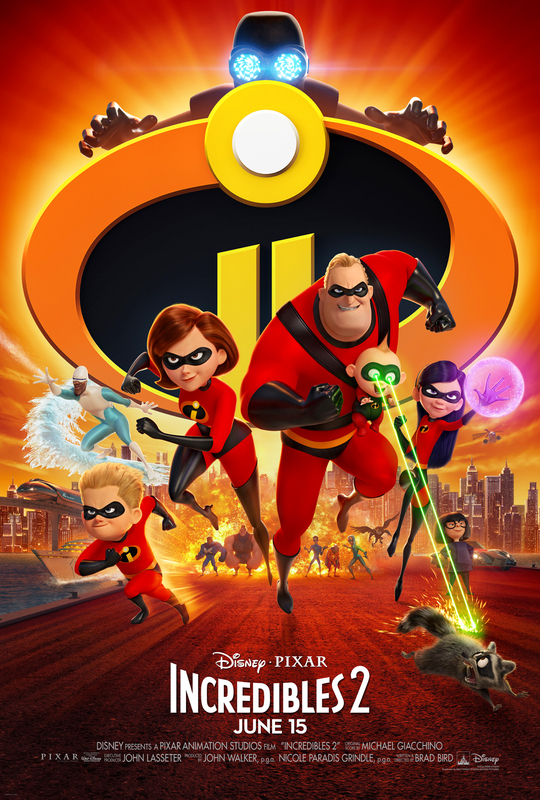 Visit the official INCREDIBLES 2 Website INCREDIBLES 2 is now open in theatres everywhere! Did you see the Incredibles2? How did you like Voyd’s character? We haven’t seen this yet, but we have plans to as soon as we get back from our trip out west. We’re super excited for it. Great interview! I love her initiative with her challenge. I look forward to seeing her character in the movie. Yes, cute movie. We saw it last week. That blue hair stood out for sure. Glad for you that you got to meet all the actors. 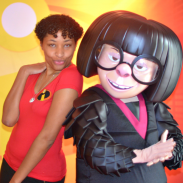 What an awesome opportunity to interview Sophia and understand more about animation. I saw the movie and absolutely loved it! 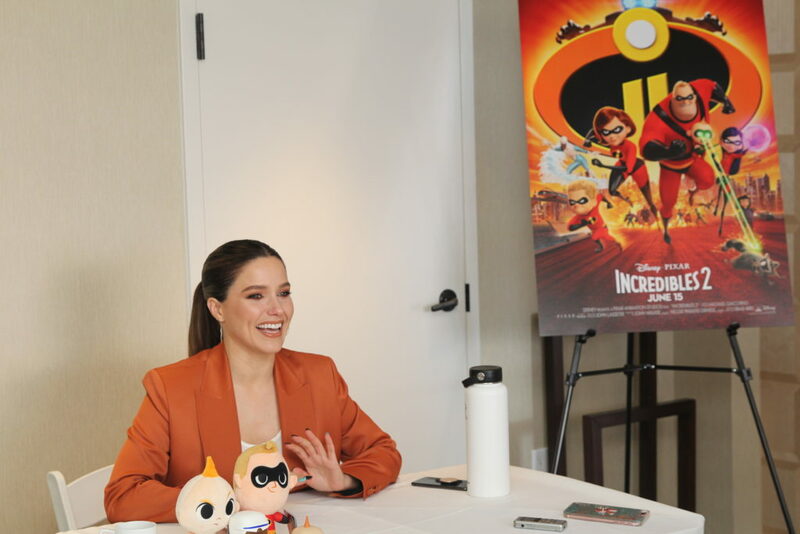 I love Sophia Bush and think it’s great she was added to The Incredibles cast. I took my daughter to see the film today and thought it was, well, incredible! We are going to see the movie tomorrow. I had a nice time reading this post. It must have been so exciting to meet all the people behind the voices in the movie. I didn’t know that’s how they chose voice overs. That’s really cool and I would love to see it happen in person at some point. Thanks for sharing your interview. That was a fun read. Well, Sofia does look like a really down to earth person. I like her “30 Day No Throwaway” program. I think she’s a doll. I’ve liked her ever since OTH! She’s definitely such a genuine and passionate person. This was a fun read. I like Sophia. Looks like you had a great time. Such amazing opportunities you’re getting! I haven’t seen the movie yet but am hoping to get to see it soon. Oh how I adore Sophia! I actually can’t wait to watch this movie. It’s going to be really great! That is so awesome, we saw the movie the day it came out and loved it, the boys sat through the whole movie. So cool to see who played Voyd!! I can’t wait for the movie. My kids can’t wait either. Wish I was a fly on the wall for the interview. Wait, I just was! That is pretty neat how they choose the voices to go together for the animation. We have not seen this movie yet, but I am excited to see it sometime soon. What a great opportunity you had. I loved the movie and felt that they did a really good job with it. What an amazing opportunity to meet her! Such a fun interview! Nice interview session enjoyed reading. Nice interview. Really enjoy the reading. Thanks for sharing. We are seeing this today! My girls cannot wait! This interview is amazing! Such a great interview! I look forward to seeing her character in the movie! Can’t wait to watch it! Omg! She’s one of my girl crush! We just watched the movie with my daughter and she really had fun. Great interview, she sounds like a wonderful person! I haven’t seen the Incredibles series yet, I haven’t seen a Pixar movie in a while actually. The interview is great though, I love how she got inspiration for her character. Sophia voice is really good and making girl power more powerful in Incredibles 2. We haven’t seen this yet, We’re super excited for it.